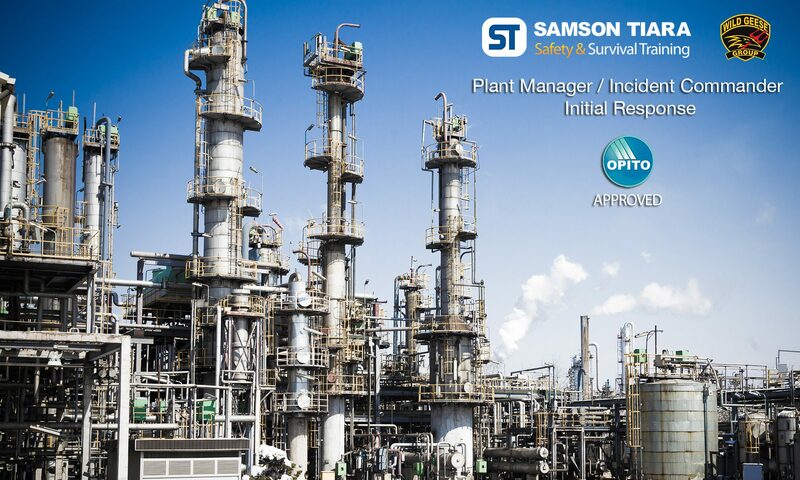 On Friday May 5th 2017, PT Samson Tiara, in conjunction with Wild Geese Group, became the second training centre in the world to receive OPITO certification to teach the Plant Manager / Incident Commander Initial Response training course. Members of the first PMIC-IR course in Cilegon. 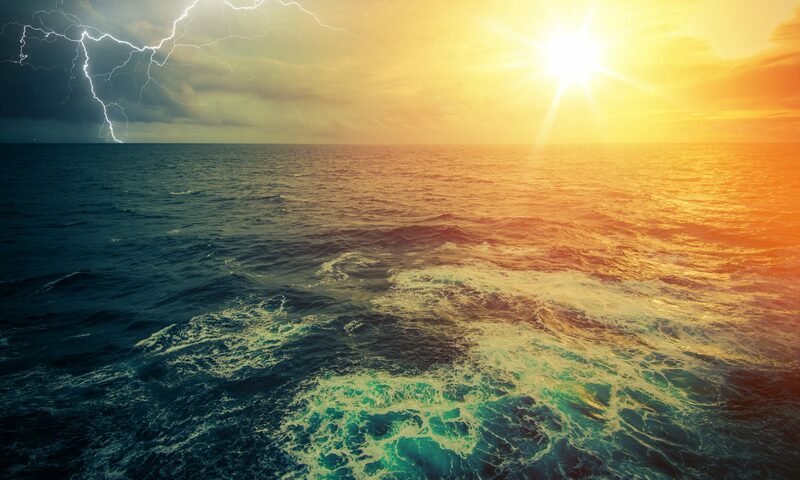 Similar to the MEM-IR course for offshore operations, The OPITO PMIC-IR course is aimed at chemical plants, refineries, terminals, bulk storage, production and processing plants. The OPITO PMIC-IR training standard provides underpinning knowledge and understanding of the key factors of preparing for, responding to and maintaining control throughout the development or escalation of an emergency situation. 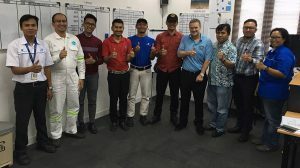 The delegates will learn how to manage communication, emergency-related information and put into place predetermined plans at the point when the emergency alarm has been raised, to the point when the Plant Manager is assured that the emergency is over. Delegates will also understand how stress can impact on individuals and team performances during emergencies. This course will be delivered at our Cilegon training centre in our purpose built emergency management suite. If you’d like to find out more about this course please feel free to contact us.